Who would have thought that a film about a Supreme Court Justice would be exciting, dramatic, comedic, entertaining and educational? 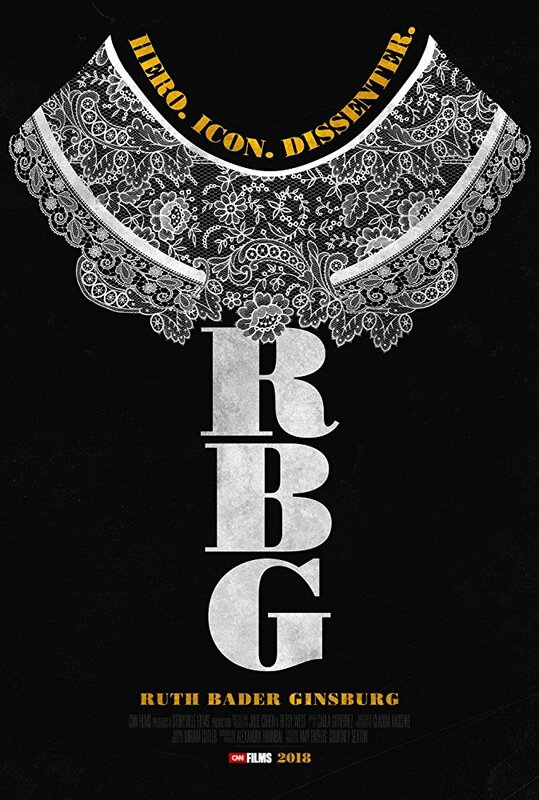 Directors Betsy West and Julie Cohen have done just that with their new documentary RBG. Their subject certainly has a lot to do with all of these qualities as it is the “Notorious” Ruth Bader Ginsburg. 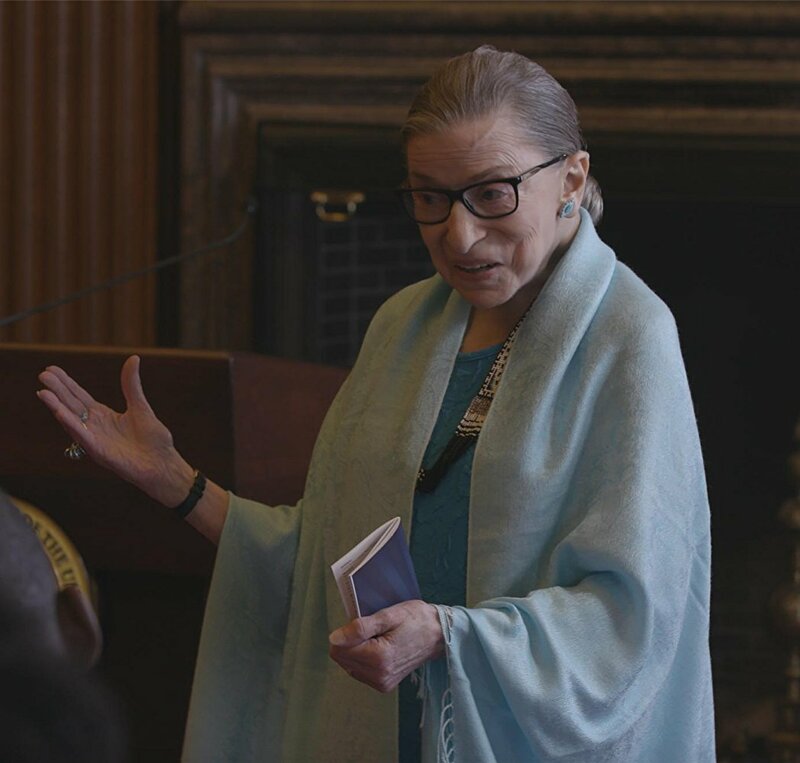 The film takes us back in time to Justice Ginsburg’s upbringing, introducing us to her parents and childhood best friends, and then to her education and meeting the love of her life. We also get a taste of her steadfast determinism on the job. Justice Ginsburg has helped change our country’s laws regarding gender equality and continues to do so. I had the pleasure of sitting down with the filmmakers at the Chicago DOC10 Film Festival recently to discuss filmmaking and RBG. Pamela Powell (PP): I really feel that documentary filmmaking has changed in the last couple of decades, don’t you? Betsy West (BW): We just ran into Steve James. You know, Hoop Dreams was such a turning point [in documentary filmmaking]. I remember watching that film and going, “Oh, my God! Look at this!” This is the kind of storytelling and getting into a world and the reality that you can achieve by following a story over time and just telling it in a way that uses the same storytelling devices that a narrative feature would use. It was spellbinding and I think it changed everything. He is the master at that. Kudos to Chicago and Steve James. He is our hero and I think he played a major role in influencing so many documentary filmmakers. 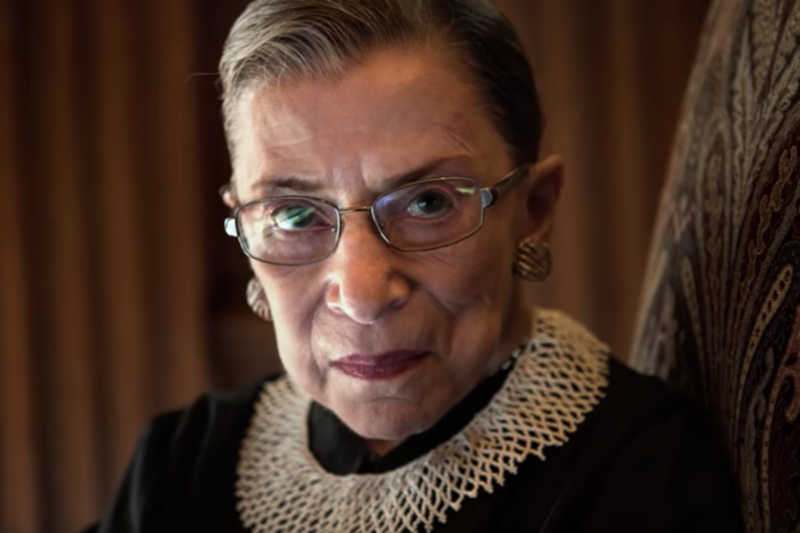 PP: RBG premiered at the Sundance Film Festival. Was this the first time Justice Ginsberg had seen the film? PP: How did you gain access to Justice Ginsburg? BW: I had interviewed her in 2011 for a project about the women’s movement called Makers: Women Who Make America... and Julie had worked with me on that project. Julie had also interviewed her for film, a documentary ... so in 2015 at the height of her. Julie Cohen (JC): Seemed like her height! BW: Not at the height, it just keeps going! We said nobody’s done a documentary about Justice Ginsburg. We really felt that many of her millennial fans had no idea of the full story. They really didn’t know the role she had played in advancing women’s rights from a legal perspective and we also both knew about this amazing feminist love story that we thought would make a personal part of the film. That’s when we decided to approach her. PP: This was truly an unexpectedly entertaining film! How did you do that? JC: How are we going to ... respect the seriousness of it and the importance and the significant issues we were dealing with but still make it engaging and fun to watch? The way to do that was to bring out as much as we could about Justice Ginsburg as a human being whether it was her childhood best friends reminiscing about what she was like as a kid growing up in Brooklyn, her spending time with her granddaughter and bringing some human moments in the home that way to telling the amazing love story of her husband or watching her planking in the gym. And also she’s got a good sense of humor! BW: She loves humor. Humor has been a very important part of her life. It’s what attracted her to her extraordinary husband, Marty. It certainly accounts for the unlikely friendship she had with Justice Scalia. She loved how funny he was and they met on that level. You know one of my favorite moments in the film when we showed her the Saturday Night Live take off of her and how she reacted just cackling, she was laughing so hard, and she has a wonderful sense of humor about herself. PP: Justice Ginsburg is quite the icon right now. What makes her so appealing in the later stage of her appointment? JC: Part of what appeals to the young generation is the feistiness that she’s showing now as an 85-year-old and if she continues issuing tough dissents and continues planking like she’s done when she’s 90, well that story only gets better. BW: And it certainly has a lot more resonance now with the #MeToo Movement, the #TimesUp Movement. Her story is even more inspirational for women who are trying to put their lives in the context for this long struggle for women’s rights. It’s been going on for a long time. Had she not been the Supreme Court Justice, she still would hold a huge place in American history for what she did for women. There’s just no question. PP: What do you hope your film will help viewers to understand? BW: I hope that people will get a greater understanding for what this woman accomplished and how she accomplished it. How deliberate, determined and strategic she was in attacking these accepted practices and laws that discriminated against women. She went at it in a very careful and methodical way and I want people to understand. That was really the point of doing this story and to have some fun and enjoyment because it’s an extraordinary life and I hope that they enjoy it. JC: I certainly hope people learn something about her and what went into her becoming the “Notorious RBG” much more than people are aware, but most of all, I think we’re hoping that people come out of the theatre feeling really good and really pumped up. I think it has that impact. I think it pushes back on your own life [asking yourself], “What am I motivated to go out and push for, fiercely and determinedly, one step at a time?" I think there could be a cascade effect on motivating people. PP: Any words of advice for women today? JC: I would say it’s following the RBG example. This isn’t really a political statement, wherever you are in the political system, set up your goals and start pushing toward them. Don’t give up when you get push back. She didn’t and it worked out nicely for her. RBG opens on Friday, May 4. If you see one documentary this year, make it this one. Be enlightened. Be entertained. Be educated. But most of all, enjoy!